HA HA HA! Foolish mortals! It is I! Red Flame O’Dom! No, no, not “Red Flame Doom”, he’s trademarked. Not “Red Flame Dooom” either, he’s a rapper. I’m “Red Flame O’Dom”, a totally different and not even slightly trademarked evil genius. And I, you fools, have just taken control… of the universe! BEHOLD MY POWER! Yes, that’s right, I’ve finally gotten my greasy face on a neoprene face mask. And now… I control the stars! The planets! The TOTAL POWER OF THE UNIVERSE!! And, as a bonus, a motorcycle. Nothing is worse than freezing your nose off when you ride your motorcycle helmet down the highway. Urgh! SOOO frustrating, right? Well, now I don’t have to do that. Because Red Flame Neoprene Face Mask IS SUPREME! Know that O’Dom will triumph in the end! Tremble, world! For you are in the hands… of O’DOM! 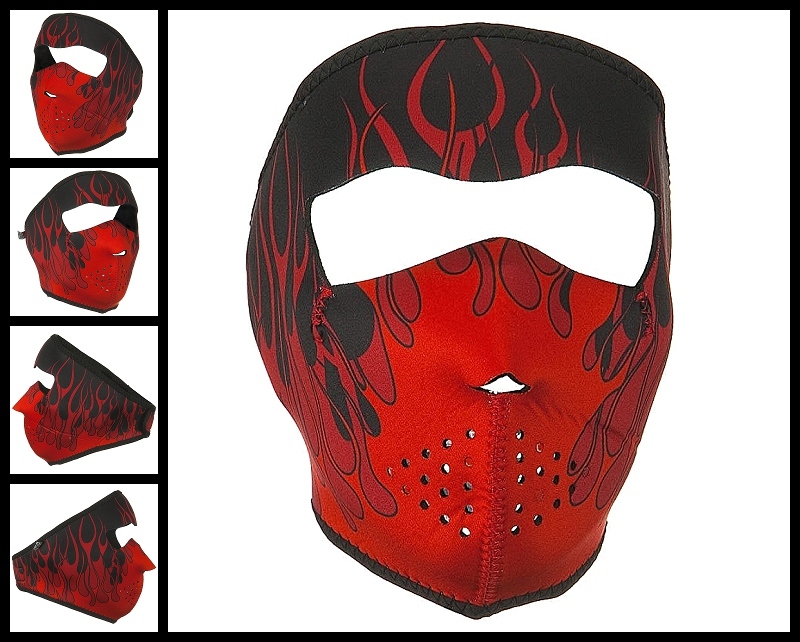 Our Red Flame Neoprene face mask features full coverage of the face and ears. Stretchy neoprene material is warm and water resistant. Red Flame Patterns are reversible to solid black material. Velcro closure ensures great fit with goggles, with a helmet or without. One size fits most.